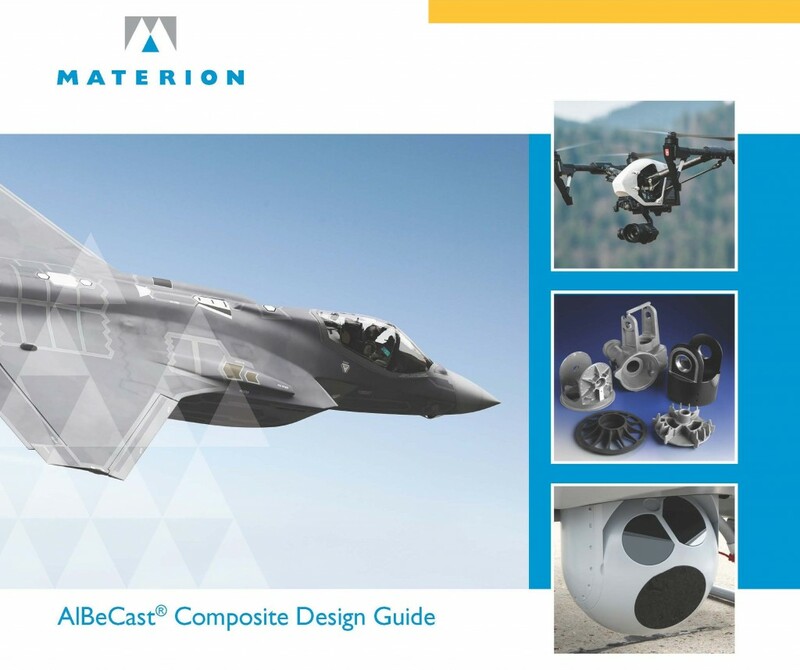 Materion offers AlBeCast® investment cast beryllium aluminum composites which provide many of the same mechanical properties as AlBeMet® composites, but they can be more cost effective for appropriate applications. AlBeCast investment casting composite is offered in two variations, AlBeCast 910 and AlBeCast 920 material. These composites offer varying levels of yield and tensile strength and can provide designers with several advantages in fabrication. Investment casting is a near net-shape process that requires less of this material than conventional machining. In addition, the time needed for machining investment cast parts is reduced. The combination of reduced material and fabrication costs can be substantial. The high specific stiffness and low-density of AlBeCast composite means it can be used to reduce the weight of aerospace components and aviation electronics housings. This publication provides an overview of our AlBeCast aluminum beryllium investment casting process. This document is intended to help engineers understand the aluminum beryllium casting process capabilities, process limitations and typical properties. These are general guidelines and recommendations and they do not represent all of the detail limitations of the process. AlBeCast composite can be manufactured into optical components, housing for electronics, avionics packaging and automotive parts. This composite can also be cast in rapid prototyping process which can speed up the testing of various designs.